One of the joys of parenting is reading to your children! As a child I was an avid reader, and it’s something I hope my kids will enjoy for the rest of their lives too. From a homeschooling perspective reading is a great activity, being useful for learning all kinds of skills. Reading to your child helps them appreciate literature and begin to learn to read themselves, as well as introduces new ideas, develops creativity and improves attention span. As your child begins to read alone the benefits continue, incorporating spelling, grammar, plot and thought development, rhythm, rhyme, confidence, speech, vocabulary, and much more! Prince reading a library book to Princess. I haven’t always read with my kids as much as I wish I had, but we are making up for it now! The library is a very short walk down the road for us, which is such a blessing. We regularly go and read there, as well as bring a bag full of books back home. Prince is becoming quite a capable reader, and will often sit and look at the books alone. 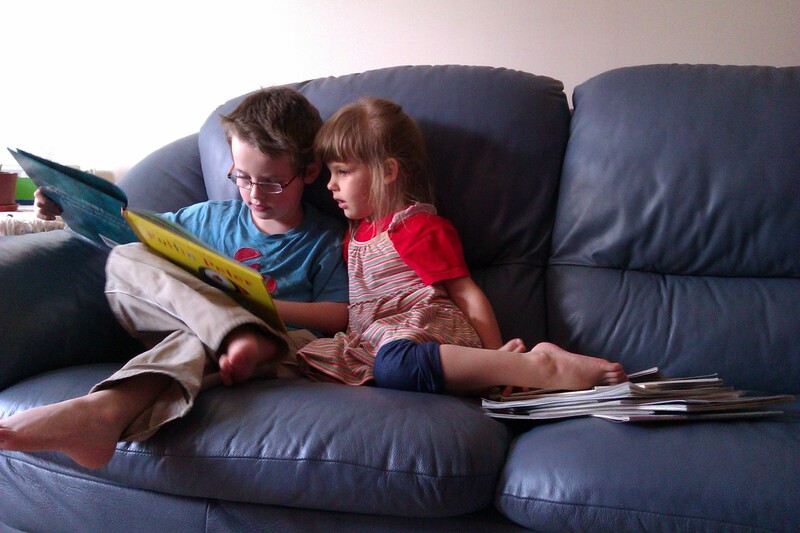 Princess, who admires her big brother no end, loves to sit with him and listen to him read. This is one of my favourite thing to watch! Last week we started our first chapter book together – Charlotte’s Web. Princess finds it harder to sit for long, but Prince easily enjoys listening to me read two chapters each day. I love the quality of the language and the depth of the plot – it’s just right for their hungry intellect to soak up and learn from. It’s also a special time for us to be doing something together – almost like going on an adventure! The time we spend snuggled on the couch reading will be precious memories for me, and, I hope, for them. 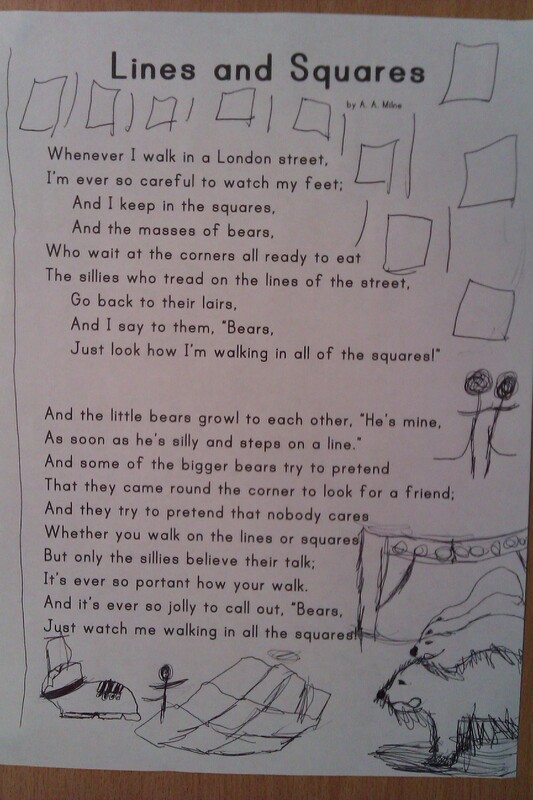 As well as reading many children’s books written in rhyme, I like to include some classic poetry in our reading. We really enjoy A. A. Milne’s poems: When We Were Very Young and Now We Are Six. These have always had a special place in my heart, and have captured Prince’s interest from early on too. Some of our favourites from these are ‘Forgiven’, ‘Lines and Squares’, and ‘Sneezles’. Prince’s illustrated ‘Lines and Squares’ print out. A great place to go if you are looking for ideas for books to read to your children is Ambleside’s book lists. There is a whole curriculum on this website, but I like to use it as a place to find ideas. They usually recommend good quality products, so I don’t have to waste time reading through things myself first. If you’re looking for a good resource to help your child learn to read I recommend the Jolly Phonics products. There are workbooks, reading books, teacher guides, activity guides, DVDs, games and more. You don’t have to follow it a specific way (although you can), but rather you can pick the bits you like best and mix them with your own ideas, and your child’s own needs, strengths and weaknesses. 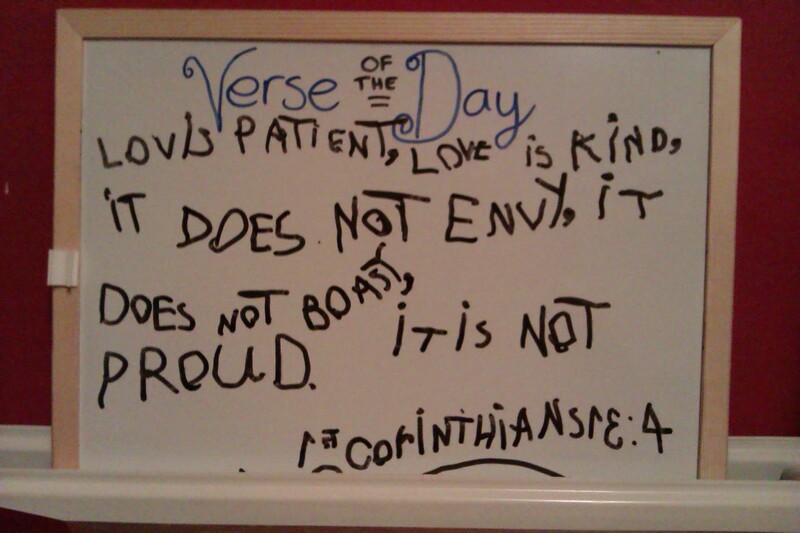 I don’t think I’ve ever met a parent who would disagree with this verse. Children are such a blessing! But while we might all say we agree and acknowledge this truth, there are times we forget it in the everydayness of life. When my children were babies they were notoriously bad sleepers. My first child, Prince, would wake me up every hour of every night for the first 21 months of his life. The only thing that would comfort him and put him back to sleep was milk, from me. My Princesses was also up every hour most nights, but only until she was about 12 months. I even remember some nights where I was woken every 30 minutes. I remember times I would try not to feed them, but it would either result in me walking around the lounge for two hours, singing, rocking and patting before finally giving in and feeding them, or else go straight to screaming. Needless to say, I was a pretty tired Mama during those days! Sometimes in the night, when I was desperately sleepy, I would get frustrated and angry. I certainly wasn’t thinking of Psalm 127 THEN. I was thinking how unfair it was that other people had babies who slept through the night from 2 weeks old! But one day, something made me change my outlook. I don’t remember what it was, but I began to realise that if I was awake so much of every night, I might as well make use of it. So I began to use my nights for God. Sometimes I would pray. I would pick a person – usually one of my kids or my husband, and all the time I was up pacing or patting or feeding I would be praying for that person. What a way to spend an hour in the middle of the night! Other times I would plan lessons for the girls’ group that a friend and I ran in the local community. And other times I would think up new designs for my online store, Upstream Christian Designs. And whilst these things didn’t make me any less exhausted, they did make me much less frustrated, and a much better Mommy. As my kids got older, sleep (eventually!) got easier. But as happens in life, when one problem is solved we quickly find more to take its place of discontent in our hearts. Things such as fussiness with food, arguments between siblings, meltdowns over things that seem so unimportant to me, having to repeat the same things over and over and over each day and just wishing they would learn and remember what I say, are all situations that can rob me of taking joy in my children today. But when I stop to think, I remember that they are just children. They are small, fragile beings who need me to gently help and guide them as they learn about life. Fun family day at the beach! I think God made sleeping children so beautiful because he knew that parents need a daily reminder of how precious they are! It’s so easy, when they are sleeping, to delight in them. What really counts is keeping that joy when they are awake. This is one of the lessons I’ve learned over the years: love your kids fiercely and delight in the simple things. Last weekend we took a family trip to the beach. 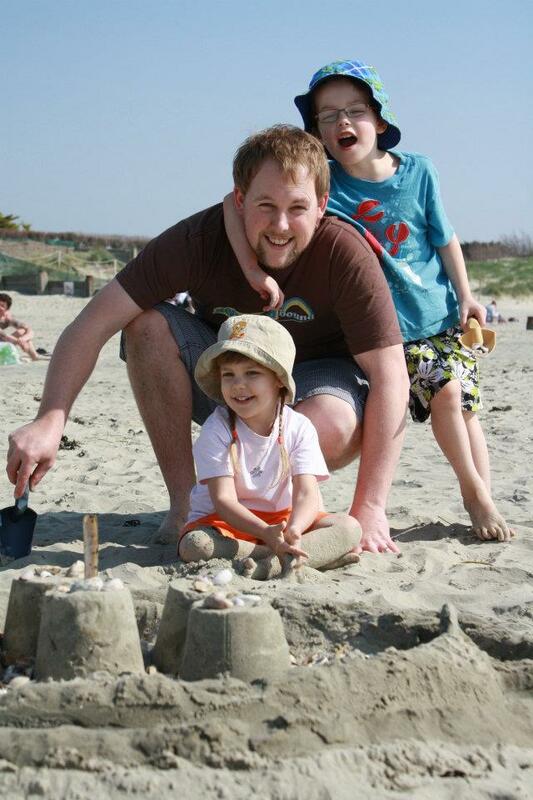 There was a moment on the sand when I stood still and watched my children playing, and listened to them laugh. They have such infectious laughs! In fact, we were in the car recently and Prince was showing Princess how to force a pretend laugh, but it quickly turned into real giggles and soon all four of us couldn’t stop laughing! Precious memories. It’s so much more fun to choose joy. Let’s encourage each other to choose it every day! Sometimes we try and try and try to do things on our own, and they just don’t work. We try to be a good parent, or a good friend, or a good spouse, yet we fail again and again. We lose our temper, break a trust, or act in selfishness and pride. When I read this passage in Luke today it reminded me that we are nothing on our own strength – but everything with God. 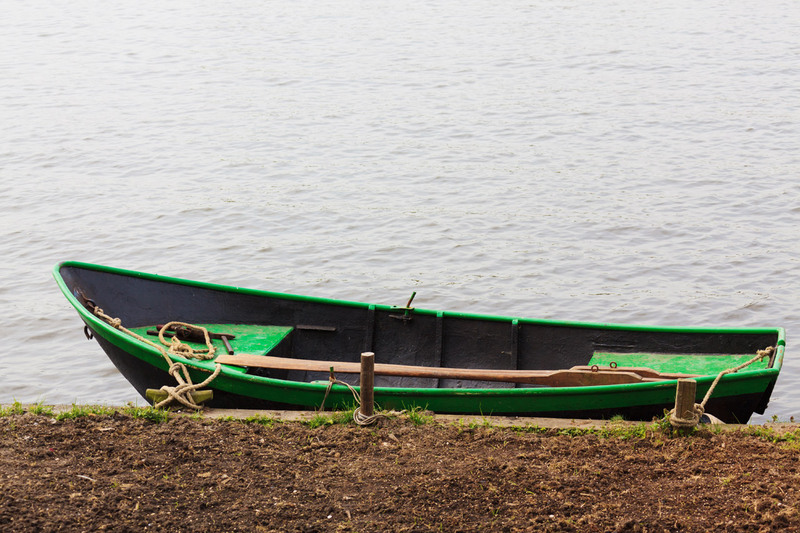 Would you go back out in the boat? I love the total faith and obedience Simon Peter shows in his response to Jesus’ command to go back out fishing. Although he acknowledges that he had already tried this on his own, he doesn’t hesitate to go and try again. I think my response would have been more along the lines of, “You’ve got to be kidding?! Don’t you know I’ve been trying this ALL NIGHT LONG, and there’s not a fish there! It’s not going to be any different this time. I might as well give up.” Certainly, this is how I’ve felt at times in my life. Now, I’m not a fishing person (worms? raw fish with the eyes still in? EW!) But I have my own ‘fish’ to catch. I’m trying to get a firm hold of patience, and wisdom, and peace, and righteousness. And too many times I go fishing on my own, exhausting myself in a futile attempt to catch them by myself, believing that if I just try harder I will do it this time. Teaching my children to love the Lord. Trying to keep my family healthy. Inspiring people close to me to love God deeply and follow Him sincerely. Dealing with sin in my own life. Showing my husband support and encouragement. Read the Bible regularly. However, don’t let this become another check box on your list of things to do. Rather let it come from a heart that earnestly desires to know God more. Pray with passion. It’s easy to quickly pray before meals, before bed, or at church. This is all good, but it is no substitute for prayer that comes from deep in your heart. Pour yourself out to God. Relax. When we try to work things out for ourselves, we get stressed, fatigued and burnt out. We need to take a deep breath and look to the example of Jesus, who loved to the point of death because He relied on God. When we take the pressure off of ourselves and turn our face to Him, we find a new strength, an endless hope, and a joy to see us through. Praise God for His faithfulness. When we offer Him the little we have, He gives us the same power that can raise the dead back to life! With Him, all things truly are possible. Celebrating nine years of marriage! When you are a mother, it is sometimes easy to forget that you are also a wife. Sounds silly, I know, but true nonetheless. Taking care of kids is a time-consuming, resource-depleting, emotionally-demanding task, and often by the time your husband gets home from work you have already run into debt in all those areas. But this is not the way it is supposed to be. God wants us to intentionally (do you get the feeling I like this word?!) save time and energy to devote to our husbands. We were created a wife before we were created a mother, and we need to make sure we don’t ignore this role in our lives. Show me admiration and respect both privately and publicly in a visible manner. – Guard your tone of voice and mannerisms. – Look for things to praise your husband for, and make sure you verbalise them. Encourage me and build me up to achieve better. – Instead of shaming your husband when you think he has failed to do what is right, pray first and then talk to him in a loving and positive manner, showing that you are concerned, but also that you believe in him. Support me in prayer and encouragement during difficulties. – Set aside time daily to pray for your husband. The Power of a Praying Wife by Stormie Omartian is a great book to help you get started on this if you feel at a loss for what to pray for. Be the kind of mother who has our children’s best interests at heart. Be a mother who feels with them, learns with them, gets excited with them and guides them enthusiastically and intentionally. – Remember that your children are another God-given ministry. Check out the previous post for more ideas on this topic. Keep the house on a daily basis – cleaning, washing, cooking, making my lunch for work every day. – If your husband takes a packed lunch, offer to make it for him. – Find out what is most important to your husband in terms of housekeeping, and even if you don’t have much time, try to get those done daily. For example, my husband especially appreciates having the laundry up to date, and having food ready to eat. Hopefully these ideas have sparked off even more of your own ideas. Why not ask your husband what things he appreciates most, and how you can better serve, love and help him? All I am I owe to my mother. I attribute all my success in life to the moral, intellectual and physical education I received from her. Being a mother who ministers to her children means taking hold of every opportunity to serve them and teach them life lessons that will have eternal value. Sometimes I am overwhelmed by the responsibility I have in guiding, teaching and molding my children. But sometimes, I am not overwhelmed; sometimes I forget that everything I do and say is shaping their characters, for better or for worse. In an earlier post I mentioned intentional parenting. This is not a phrase I have read about, but something I use for myself, to describe thinking carefully and purposefully about how to raise my kids. It means analysing the way I talk, teach, discipline, and every other daily thing as I do. It also means thinking about who I want my kids to be, and how to help them become those people. We adopted the term ‘Bible Snuggle Time’ from my aunt’s family. For us, this is a special time where we spread out a blanket and get our Bibles, some paper and colouring pencils together. 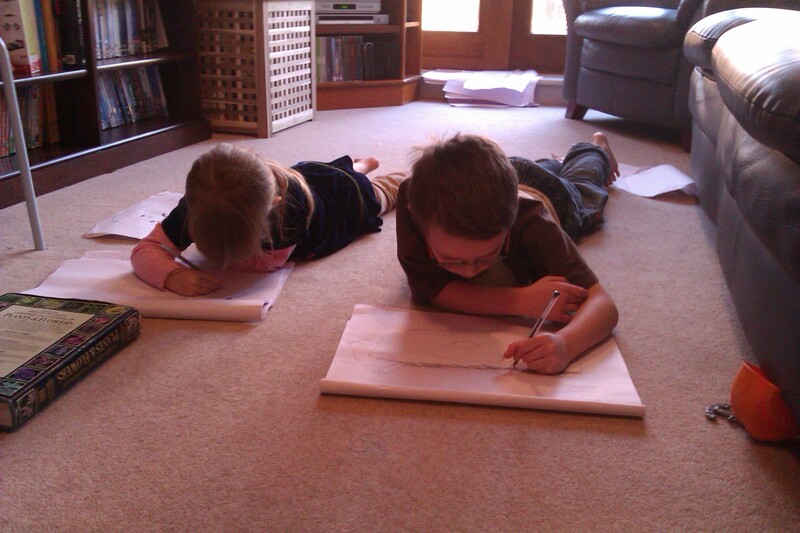 My husband or I read the kids a story each from their children’s Bible, then they get to quietly draw a picture from what they have learnt while we have a chance read our own Bibles. Sometimes we include other things too, such as prayer, songs and Bible memory verses. I have a friend who once held his baby niece in his arms and deeply moved said to me, “I imagine as a parent you must be constantly praying for your children.” How convicted I was! There are too many days that go by when I don’t take the spiritual battle seriously enough and fight for my kids in prayer. There are days when I am distracted by everyday happenings, and all I make time to do is a hurried goodnight prayer as I tuck them in and rush off to do the next thing. But in truth, there is nothing greater we can do for our kids than labour in prayer for them daily. I once asked two of my friends about what effect it had on them to see their mothers’ regular, personal devotional time. Both told me that it made a very significant impact on their spiritual lives, to the point that it still affects them today. They are also two of the most Godly people I know, who put their passion and talents to use for Christ by working in youth ministry. It is also important to let your kids see your love for God by worshipping and praying sincerely when they are around. Ready for our first family night! 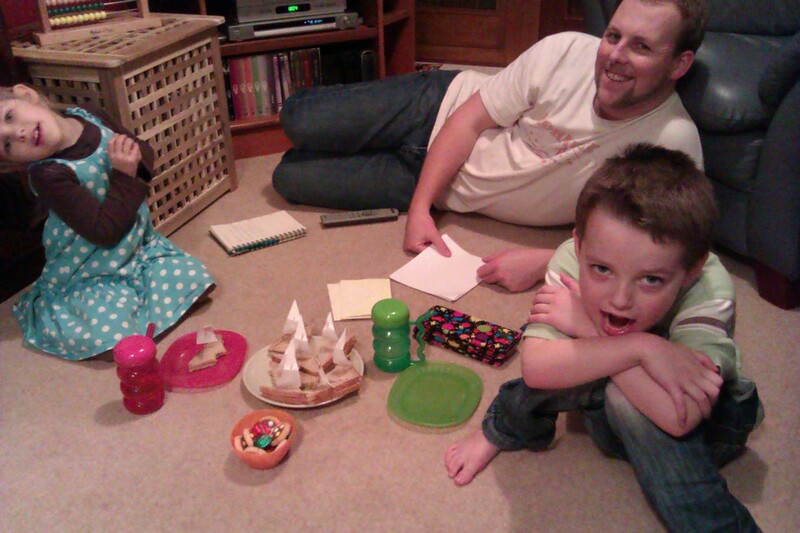 Something I always wanted to do was start up a regular family night, and recently we have finally managed to do it! This is another opportunity for my husband and I to give specific spiritual guidance to our kids. We read from a devotional book, do fun activities, have special snacks (which the kids LOVE to help prepare earlier in the day) and have a time of worship. If you are looking for a good book to give you some ideas and inspiration to start up your own family night, I recommend this book. We went through this book before starting ours, and I feel it has made our night much more effective. Scripture songs on CD by Steve Green – These songs are straight Scripture put to music, and have helped us learn many verses that both the kids and I can refer back to in everyday conversations. The One Year Children’s Bible – Last year we read through the whole Bible with our kids using this book. It carefully and accurately presents a condensed version of the Bible in easy to understand language. God’s Wisdom for Little Boys and Girls – These are lovely books for use in devotional times. My kids love them, and will sit and read them to themselves, too. His Mighty Warrior and His Little Princess – Again, nice books to include in a devotional time. I love them, but find them to be aimed at a slightly higher age range than my kids – probably more like 6-8. We still use them, though. Veggie Tales and Penguins books and DVDs – Fun cartoons which teach Biblical morals, stories and Proverbs. I find my Prince especially likes the Penguins DVDs, as they are quite adventure orientated. Creation Ministries and Answers in Genesis– You can find a lot of resources here for both kids and adults. There are DVDs and books on all kinds of topics such as dinosaurs and planets which my Prince finds very interesting. What a blessing to be mother to these precious kids! Once I have these written down I review them from time to time and also write specific ways to train him in those areas, according to his current strengths, weaknesses and abilities. Being a mother is one of the most wonderful ministries I am blessed to be a part of. As you and I seek to bring our children up in the training of the Lord, may He bless our efforts and grow our children into His image. In my life I find many opportunities for ministry, but I would like to share some thoughts about just three of them over the next few blog posts: my home, my children and my husband. As a stay-at-home mom these are the biggest areas of ministry in my life, yet often I find they are areas people fail to see as a ministry at all. I am excited to serve God in these ways, and hope that some of what I say will inspire the same in you! First off, it is clear to me that God desires – to at least some degree – women to take responsibility for managing and caring for their homes. I don’t want to spend time discussing my stance on women working inside and outside the home, but I do want to clarify that there is a Biblical premise at the heart of why I choose homemaking as a ministry in the first place. Something I learnt from Linda Dillow’s ‘Creative Counterpart‘ is that whether we realise it or not, each home has its own particular atmosphere. Think of the homes of your friends and relatives and pick an adjective to describe each one. Some homes in my life are ‘productive’, ‘comforting’, ‘relaxed’, ‘free’, ‘worldly’, ‘peaceful’, ‘friendly’ and ‘stressful’. Now think of how you would describe your home. How would your family describe it? How would your visitors describe it? One of the ways we use our home to share Scripture. We change it daily, each family member taking a turn. This was one was chosen and written by my Prince, age 5. To help my home have a positive atmosphere, I find it important to keep it clean and tidy. While this is not how everyone operates (I have many friends whose homes are a joy to be in, but who keep the ‘a clean house is this sign of a wasted life’ motto! ), I find it to be valuable in my house. When my house is in order I am less stressed, my kids are more creative, and my husband feels blessed. Everyone has their own ways of tidying. Some people I know do it on a schedule, but I’ve tried that and it doesn’t work for me. Rather, I find it better to do bits and pieces regularly, when they are needed and in between other tasks. I find that I naturally fall into a very vague schedule – for example, I tend to do a bit of an after-weekend-clean-up on Mondays, as I don’t do much of it on Saturdays and Sundays. I also find that I am more motivated to clean the kitchen first thing in the morning rather than last thing at night (I have NO idea why… all I know is it’s true!). I specifically try to tidy up before we go out, and make a special effort to clean and tidy shortly before my husband comes home from work, as I know how much he appreciates walking into order rather than chaos. Lindsey O’Connor, in ‘If Mama Ain’t Happy…Ain’t Nobody Happy’, offers some practical ideas of ways to make your house a place of joy. She suggests using candles, pictures and music to help create a positive atmosphere. She also advises taking – and making – lots of opportunities for celebrations and special occasions. To build on these ideas I would encourage you to look at the talents God has given YOU and put them to work in your home. If you are a baker, then bake for the benefit of others. If you love to create things, make things to display God’s love in your home. Wherever your God-given talents lie, I’m sure you can find unique and creative ways to use them to advance the ministry which is your home. Being a homemaker is a challenge, a joy and a wonderful way to minister to others. So many people are in and out of our homes – why not make the most of every opportunity to be a blessing to them and share God’s love? Everyone knows life has its ups and downs. Right now mine is on an ‘up’! Eight months ago my husband, kids and I followed God’s direction and moved back to England after three amazing years in Canada. It was – and still is – a wrench to be away from people there whom we love very much. But our God is so faithful, and He has blessed us so much. My husband recently got a job that he LOVES, and it’s going well (he’s had a series of not very nice jobs before this). We moved into a flat on our own for the first time in nearly nine years (that’s an ‘apartment’ for those of you on the other side of the Atlantic). 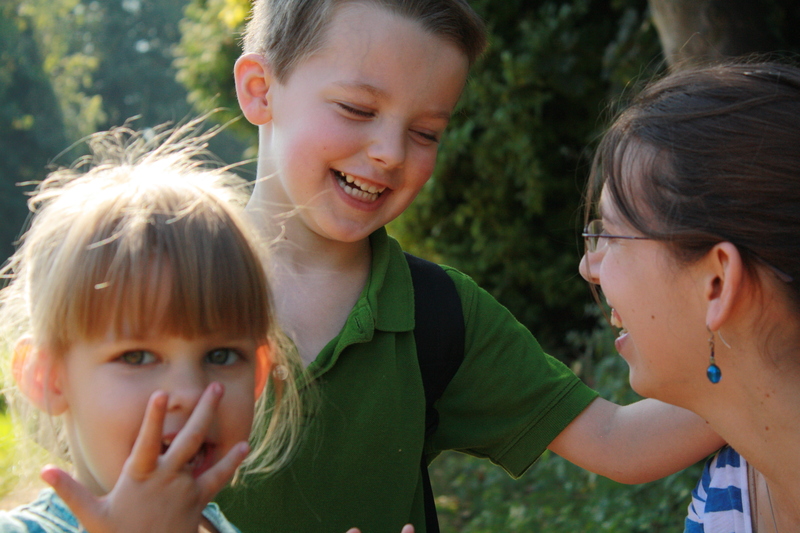 We joined a local homeschool club, and the kids and I have both made lots of wonderful new friends. I have ministry opportunities in my church here which allow me to use the skills I learnt in Canada, but in a way which doesn’t encroach on my time at home so much. I now have more time to focus on raising my kids and tending my home. My precious kiddies on a walk with our homeschool club. I’ll stop there, but you get the picture: God blesses us daily! Sometimes people say it’s hard to praise God when times are tough, as you are so frustrated; Sometimes people say it’s hard to praise God when times are good, as you are so distracted. But I want to praise God whatever my situation, just like it says in 1 Thessalonians 5:18, “give thanks in all circumstances; for this is God’s will for you in Christ Jesus. Fun on a ‘train’ in the local park! You love your kids in a way that cannot be described or imagined until you experience it. It’s easy to let each day slip by without thinking, but a better way is to pray and parent ‘intentionally’ – thinking about who are you shaping your kids to be, and how your guidance now will affect both them and others in the long term. One-on-one time set aside to talk to and focus your attention on each child individually is so important, and can provide some really insightful feedback from your child’s perspective on how you can improve as a parent. It is essential to MAKE regular alone time for you and God. Even if it’s just reading a few quick Scriptures on Bible Gateway or following a short daily plan on YouVersion, regular spiritual food is necessary for you, and makes you a better parent too. 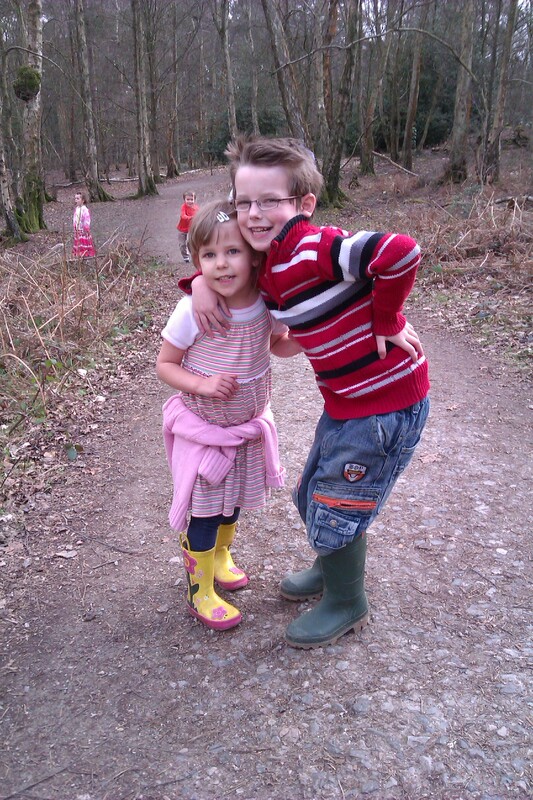 Boys and girls are naturally very different! While it may take three times as long, it’s also usually three times as special to do everyday tasks WITH your kids rather than on your own – and they really love to help! Talk to your kids with respect and love, and never belittle them (e.g. don’t laugh it off when they are embarrassed in company). Don’t assume kids understand simple things. What is simple to an adult is not as obvious to a child, so take time to show grace and explain things to them. Be a playmate as well as a parent. When it’s possible, drop what you are doing if they ask you to play, instead of saying “in a minute”, “not now” or “later”. Let your kids see your relationship with God. Let them hear you praying, let them see you reading Scripture, them watch you worship – so long as you are not doing it for show, but as a genuine expression of your faith. What have you learnt as a parent? Yeast is a living plant that gives off bubbles of gas, which is what causes the rising of the bread. There are different kinds of yeast used to make bread and you need to make sure to find out what kind you are using, and use it correctly. Flour (especially strong bread flour) contains gluten, which stretches like an elastic network to trap the gas bubbles from the yeast. There are also different kinds of flour, with differing amounts of gluten. Sugar (or honey) can be used to help activate yeast, as well as adding a nice flavour to the bread. Different liquids can affect the bread in different ways. Milk makes a softer crust than water. Salt adds flavour, but is also useful in helping to control the yeast’s action. A ‘preliminary mix’ is useful for developing the gluten in your dough. The dough needs to rise in a warm, draft-free spot. It should rise until doubled. A good test to see if it has risen long enough is to make about a 1/2 inch indent with two fingers. If it bounces back, it needs more rising; if the indent remains, it’s ready. To get the dough out of the bowl easily, punch in the middle and pull the edges in, then turn out. To test if it is ready to bake, gently touch the dough. It should feel light and springy. To test if it is baked through, tap the loaf – it should sound hollow. Cool bread on a wire rack. After gaining this useful background knowledge on bread making, I checked out the recipes. There were many exciting varieties, but before getting adventurous I wanted to start with a basic wholemeal bread, suitable for everyday use. Unfortunately, there was no such thing! The closest recipe in the book was a part white/part wholemeal loaf, which used quite a few different ingredients – not what I was after. Perusing my goal of a simple, easy and healthy wholemeal loaf, I called up my Granny! She has told me many times before that she can’t understand why she – and everyone else – doesn’t make bread more often, as it’s so easy. I also knew she only uses wholemeal flour. Over the phone I jotted down some quick instruction and ingredients. If you know my Gran, you know that she NEVER follows a recipe, or even measures her ingredients, so as you can imagine my directions were a little vague! Still, excited and determined I went ahead and followed them. I loved the simplicity of the recipe from Granny – she uses just water, wholemeal flour and salt. Nice and cheap, nice and healthy. My first attempt at making a loaf was…. interesting! The dough was definitely too sticky, and I ended up throwing away about half of it which was stuck to my hands, my arms, the bowl, the board, and more! It was also too floppy to properly shape into a loaf, but I cooked it, and it tasted okay. I tried the recipe again another 3 times over the next week or so, each time with slightly different results. They all tasted okay, but none of them were easy to work with, which made the process very long (due to extended clean up time) and awkward. So I decided to turn to Google, and look for something which used Granny’s ingredients, but gave me more specific instructions! As usual, Google had just want I was after. I found a few good-looking recipes, and have now made two loaves (well, almost – the second one is in the oven baking as I type! ), with great success. The recipe I settled on and I like best is this one. Although it calls for sugar, I expect that could be left out. I haven’t experimented with it yet, as I wanted a few successful tries just following the recipe exactly so that I gain experience and know what the dough is supposed to look and feel like. I’m looking forward to trying out some variations soon, and will probably start with fruit bread and cinnamon rolls. YUM! Latest successful loaf of bread!